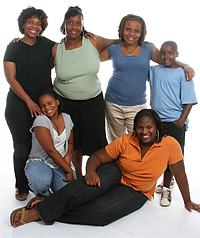 J's Family Weight Loss Program helps families lose weight, be healthy and feel good. Our program outlines Dietary Guidelines to help you change your habits. We help you choose exercises to get you moving and help you achieve your goals. We help families achieve results without medications and expensive equipment. We also offer you encouragement and real success stories of other people just like you who have put their minds to making healthy changes and have seen dramatic results. Remember to just keep trying! Let's work it out! We encourage you to browse through our website. Please feel free to contact us to request more information. Our experienced staff can help you get started with Dr. J's Family Weight Loss Program. Weight gain is caused by excess calorie intake and / or inadequate level of exercise. Dr. J's Family Weight Loss Program addresses nutritional aspects on an individualized basis, structured to meet the special needs of the program participants. Exercise instruction and motivation are provided through group instruction, such as low impact step aerobics, light weight training, and salsa dancing. Our staff includes a physician, personal trainers, therapist and even a fashion advisor! Dr. J's Family Weight Loss Program is truly unique and has a proven record of success. Our program's continued success is due to the hard-working families and individuals in our program, as well as our experienced, compassionate staff. We are here to help you achieve your goals and help families be healthy and feel good. Please feel free to contact us so that we can help you get started on Dr. J's Family Weight Loss Program! 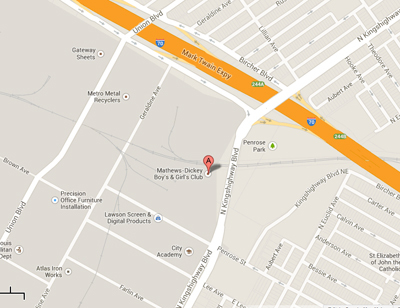 Matthews -Dickeys Boys' and Girls' Clubimage to view. I enrolled Mallori in swimming, dance and gymnastics class so that she would become more active. Encouraging her to drink more and giving her smaller portions was also helpful.